A survey of ScreenDaily readers has found that almost 90% believe the industry is not doing enough to encourage legal access and payment for rights owners, yet 70% of respondents do not make their content available online through paid for services. Yumi Araki and Vivian Ho report. The survey, which questioned 130 industry professionals, also revealed that while film industry members are concerned about internet piracy, only a few have taken measures to curb the growing problem of illegal content distribution. Almost 85% of those polled think that content owners are not doing enough to provide paid-for content online. According to the Motion Picture Association of America (MPAA), the worldwide motion picture industry including producers, distributors, theatres, video stores and pay-per-view operators lost around $18.2 billion in 2005 from Internet piracy. 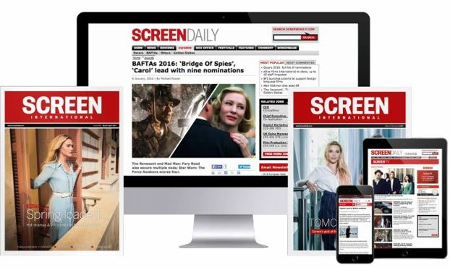 Screen International reported in its piracy issue (July 10) that every year, around 100 million illegal film downloads occur in the UK. “The industry has to realise that traditional distribution models do not always work and [the industry] has to explore other avenues,” commented one respondent. Indeed, 66% said they did not think Internet Service Providers (ISPs) were doing enough to copyright content online. Coming up with a better alternative remains a challenge. Although 56% do not believe ISPs should be compelled to hand over the names and addresses of illegal downloaders and file sharers, the results were split with 50% in support for the Digital Britain report’s proposals to reducing bandwidth or restricting services for repeat offenders, and 50% against the plans. One comment suggested that there needs to be a third party to “police” online piracy because it is “hard for producers to go after Joe Public to enforce law,” as it appears as too aggressive. “But an official entity doing the enforcement will scare people into compliance with law, and probably reduce the cost of enforcement,” it said. Another comment suggested that the industry needed to stop employing fear tactics on the audiences and instead take a “more inward” self-assessment of itself. A similar suggestion underscored the necessity of producing quality content that users would be willing to pay a price for. One user claimed that the film industry should adopt methods to “produce product worthy of purchase rather than low quality productions which entices consumers to ‘try before buying’” on free streaming or torrent websites instead of purchasing the product off the shelf. According to 65% of the respondents, biggest immediate threat to the film industry is online pirated movies, while 84% believe that it is also the biggest long-term threat. Although one comment stated that the biggest threat to the industry was neither online piracy or pirated DVDs. Other comments echoed this sentiment. 1. Are ISPs doing enough to copyright online? 2. Should ISPs be compelled to hand over names and address of illegal downloaders and file sharers to content companies? 3. Do you support reduction in bandwidth of restriction of services for users who illegally download copyright material? 4. Is the industry doing enough to encourage legal access and payment for films? 5. Do you work for a company that owns copyright or own copyright yourself? 6. Do you make any content available through paid online services? 7. Have you taken legal action against downloaders or file sharers in the past? 8. Do you believe content owners are doing enough to provide paid for content online? 9. Which do you think is the biggest immediate threat to the film industry? 10. Which do you think is the biggest long-term threat to the film industry? ScreenDaily’s special issue on piracy brings you reports from all over the world. Outgoing UK Film Council chairman Stewart Till cites piracy and the need to create a sustainable film industry as the two biggest challenges facing his successor Tim Bevan.